The Shih Tzu, that small thief of hearts, is a nice, laid back dog. Maybe you have decided to share your home and life with one? The most important thing you can do, when deciding that this is the type of dog you want, is to find as much Shih Tzu information as you can. Look into obvious health conditions of the breed and ask your local veterinary practice for good breeders, or rescue organizations, in your area. Here are some important tips to get you started. Shih Tzu puppies are unbelievably cute, I mean shockingly so, they look just like a cuddly toy. It is certainly easy to see why we are tempted by them. Interestingly too this particular breed of dog is laid back even as a puppy, adolescent and even as an adult dog. The Shih Tzu is a small solid dog that needs a lot of coat care, much companionship and offers loyalty and love in return for a happy home. 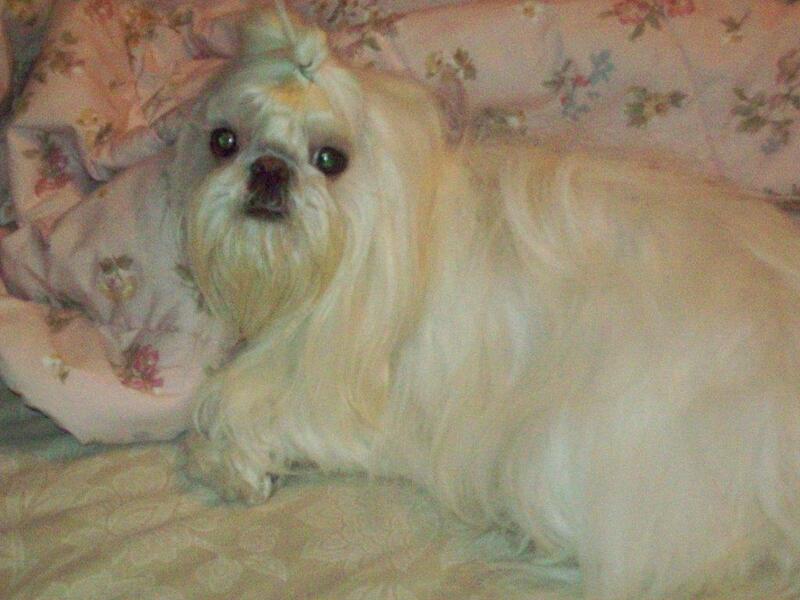 The Shih Tzu can be one or more of a range of colors and live right through to his mid-teens. Generally if raised well and even sometimes if he is not, this dog will be a genuine, funny and intelligent addition to any household. If you are looking for a puppy of this breed you will not need to look further than your local pet store or pet section of your local newspaper. We urge you though not to buy the first puppy you see. Certainly do not buy on trust alone because Shih Tzu puppies are one victim of unscrupulous dog breeders. A good Shih Tzu breeder will want to know that you have read all about Shih Tzu information that you can get your hands on. They will want you to visit the puppies with their parents in a home situation. Any reputable breeder does it because they love the dog and this will be obvious. They will ask you lots of questions and tell you that the dog must be returned to them if you can no longer care for him. The puppy will also be wormed, vet checked and often part vaccinated when it is ready to come home with you. The other positive side of taking time to find the right breeder is that the bloodlines for breeding will be perfect. The health issues that can be easily apparent in a badly bred Shih Tzu will not have been passed onto your new puppy. This is because anyone who loves the breed would not want to ever be responsible for a sick dog. Anyone who refuses to allow you to see the dog in their home may be hiding something sinister. Similarly if neither of the puppy’s parents are present. Pet stores can easily stock puppy mill litters and if someone offers to meet you with a puppy then it’s important to ask why. In addition to the conditions the dog spent the first few weeks of his life in you would have to contend with lack of social awareness. Plus an extra concern about your Shih Tzu puppy’s health. This is because bad breeders do not pay attention to bloodlines or genetic health conditions. If you would prefer an older Shih Tzu, and puppies are not for everyone, then why not look for a reputable breed rescue. A breed rescue is usually formed and ran by fans of the breed. They take in dogs of any age and normally also hold waiting lists of potential homes. An older dog may have learned bad habits in his previous home or he could be perfect. Rescue does not necessarily mean poor behavior. A good rescue organization, breed specific or not, will have already carried out a thorough assessment of the dogs behavior and will pass all the gathered Shih Tzu information on to you, as his new guardian. Most good rescue centers also have a qualified behavior counselor who will specialize in helping a new owner train their dog. Because the Shih Tzu is a good natured and trusting dog any behavior modification tends to go well. So wherever you decide to find your new family member expect the settling in period to be a little disruptive, followed by some fun and learning, and then you will most certainly all live happily ever after. Enjoy your new dog, and all his settling quirks, because the time passes so quickly and before you know it all the funny little learning curves will be ironed out.